I seriously think I find the cutest items when I’m not really “looking” for them. Hence, this ‘Femme Vibe’ shirt by H&M. By recently stepping into H&M on Friday to kill some time, I came across this cute tshirt! Basically, I knew I had to grab it!! (not really knowing how I’d style it either lol). 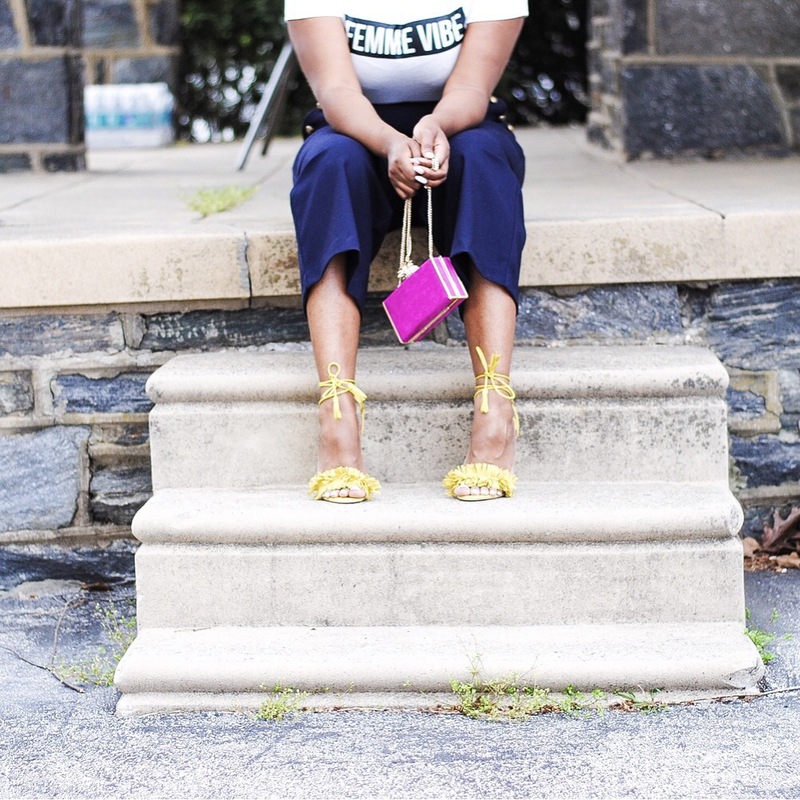 So I decided to pair the t/shirt with my newly acquired ASOS high-waisted culottes. These culottes are so comfortable and a classic “sailor” style. When shopping ASOS, I shop the ‘Tall’ section of the site. 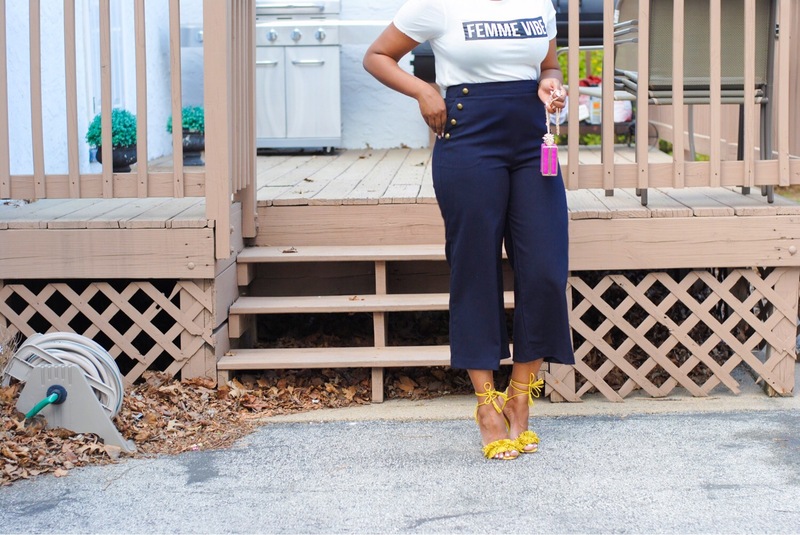 So these culottes are perfect in size and length! Thank God! Culottes are in this spring and summer. I’m looking forward to rocking this style over & over. As usual, my accesorries are my “pop of color”! Very nice!! I never knew how to properly spell culottes! The yellow does make your out pop! So chic!